Intelligent visitor management in recreational facilities, sport complexes, museums etc. is the key to success. 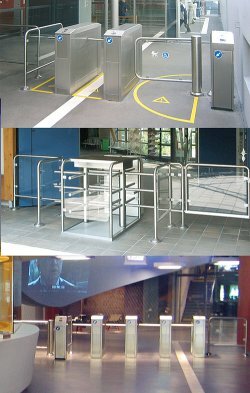 Just as car park boom gates or barriers separate cars individually, turnstiles take on the responsibility of letting visitors in and out, easily and speedily. AXXTEQ delivers mechanical and electrical turnstiles for widely varying application areas and of course, fulfils customer’s wishes that go beyond the basic functions. We make sure, that the access controls for visitors are a pleasant inconsequence and that unauthorised access is securely denied.